I got the notification email today: my PonoPlayer has shipped from China and should be here by Thursday the 13th. In the email were .dmg download links to the “PonoMusicWorld” desktop software for Mac and Windows. I downloaded the Mac version, extracted it and – presto! – a screen opened that looked an awful lot like…JRiver. I thought back to the Pono listening party in early August where I saw a whiteboard pushed into a dark corner; it had the word “JRiver” scrawled within a messy approximation of a flowchart. 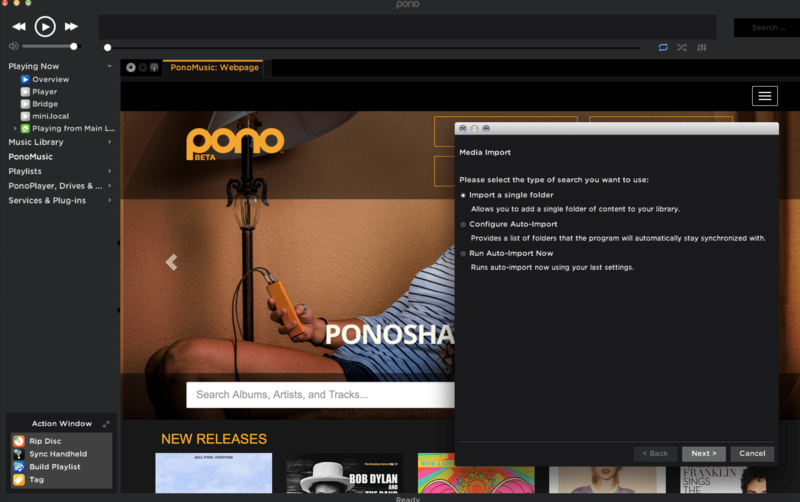 Pono has, evidently, licensed a white-label version of JRiver as a desktop interface, and the Pono Store is embedded in the application’s browser. Considering JRiver’s notoriously steep learning curve, I’m not sure this is the best route for folks whose previous sync experience is with iTunes and iPhones, but it appears to be the only route for Pono users. I’ve been using JRiver for over a year now, but I still find a significant portion of its inner workings somewhat mysterious, if not downright confusing. JRiver was originally developed for Windows and has been awkwardly ported to Mac with the usual wacky interface inconsistencies, especially where textbar dropdown/preferences implementation is concerned…and I’ll spare you a rant regarding the unstable nature of the Mac versions JRiver MC 19/20 for the time being. I anticipate a certain amount of griping about this subject (and JRiver’s complicated settings in general) on the Pono Community boards (registration required). Anyway. Immediately after downloading, I began the very familiar auto-import process and PonoMusicWorld was well on its way to drawing paths to all the FLACs and AIFFs on my external drive. Also included in the mail were video tutorial links: how to update firmware, purchase and transfer music, create playlists, etc. 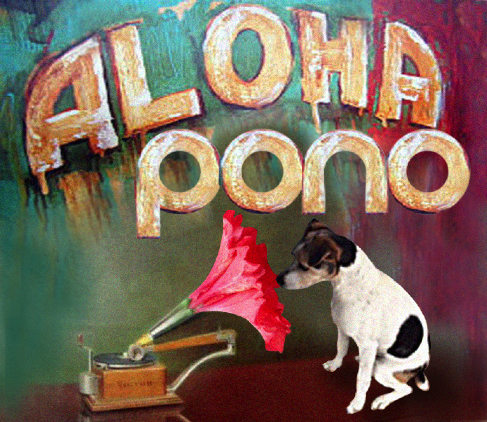 The Pono Store has been quietly ramping up over the past couple months. There hasn’t been much coverage of one key feature of the store – if you purchase a download, any future higher-resolution version of that album will be yours as a free upgrade. This allows Pono to get as much CD-quality content as it can in time for launch, with the goal of having better-than-CD versions available in the (I hope) near future. I look forward to having a great deal more to tell you once my PonoPlayer arrives this Thursday evening.